The NEW SeaRay Bowriders are beautiful boats you will love the ride! Come down and check them out!!! 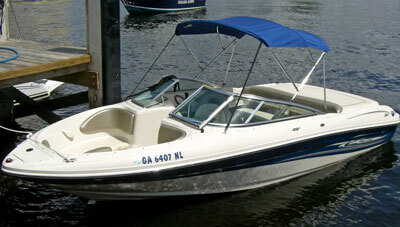 Requirements: Anyone 21 years and under, who operates a vessel powered by 10 horsepower or more engine is required to either have successfully completed a National Association of State Boating Law Administrators (NASBLA) approved boating education course or temporary certificate examination and have in their possession a boating education ID card and a photo identification card before operating a vessel.